Eighty five years after Clyde Tombaugh, a 24 year old apprentice astronomer at the Lowell Observatory in Flagstaff, AZ used a blink comparator and some photographic plates to discover Pluto , NASA's New Horizons space probe is sending back to earth the first ever up close photos of the dwarf planet. There will also be a special guest operator; Doug Tombaugh N3PDT, nephew of Clyde Tombaugh who will operate for three days during the early part of the event. Any station who contacts W7P will be eligible for a beautiful glossy commemorative certificate printed on heavy card stock that features a New Horizons image of Pluto, pictures of Lowell telescopes, a brief history of Pluto’s discovery, and a description of the New Horizons communication system. All three of the National Weather Service offices located in Nevada will be on the air Saturday for this years edition of Skywarn Recognition Day. Skywarn Recognition was started in 1999 as a joint effort of the National Weather Service and the American Radio Relay League to recognize the contributions which Skywarn volunteer amateur radio operators make to the weather service. All three of Nevada's National Weather Service offices will be on the air for the event. Hams wishing to participate in SRD may do so in one of two ways. They may make contact with as many NWS offices around the country from their home shack, or they may go to their local NWS office and operate from the station set up their. SRD runs for 24 hours beginning Friday at 4:00PM PST (00:00 UTC) and ending Saturday at 4:00 PM. As an added bonus, hams who visit the Las Vegas NWS office on Saturday, can witness the daily launching of a weather balloon. Lift off is precisely at 3:00 PM and it is recommended that you arrive by 2:30 PM. The location for the 2016 ARRL Nevada State Convention, known as NVCON, has been changed to a larger facility to accommodate a bigger and better experience. Originally booked at the Sunset Station Hotel/Casino, convention organizers soon realized that the facilities at that venue were not adequate to support the gathering. The Eastside Cannery Hotel/Casino Event Center on Boulder Highway will be the site of the three day event, scheduled for April 29-May 1, 2016. The Eastside Cannery is the newest Hotel/Casino on the Boulder strip. Their large and attractive event center has the facilities and amenities to make this an enjoyable convention for all who participate. NVCON 2016 will see Las Vegas hosting an amateur radio convention for the first time in nearly 30 years. Las Vegas was once the home of the huge Sahara Amateur Radio Operators Convention. SAROC was second only to the Dayton Hamvention in size and was known as the place where equipment manufacturers annually unveiled their newest products. NVCON was created in 2014 by the Sierra Nevada Amateur Radio Society. The first edition of NVCON was held in historical Virginia City, Nevada. This year the event moved to the Boomtown Hotel/Casino in Reno. The 2016 convention is being sponsored by the Las Vegas Radio Amateur Club with assistance from a number of area clubs and groups. An icon of Amateur Radio in southern Nevada passed away Saturday morning November 21. David Floyd W9MPD age 75, of Boulder City, known around the planet as "Radio World Dave" succumbed this morning at St. Rose de Lima Hospital in Henderson, NV after being removed from life support. Mr. Floyd had fallen victim to a sudden medical episode on Monday November 16th. He had just eaten lunch with some friends when he became ill. His longtime sidekick and pal, Bill Weber rushed him to the emergency room just a few blocks away. Shortly after arriving at the hospital Floyd stopped breathing and went into cardiac arrest. Dave Floyd was well known not only in the Las Vegas valley, but also world wide as the operator of Boulder City's "Radio World", which he billed as "The Best Little Radio Shop, by a Dam Site" (Boulder City is home to the Hoover Dam). 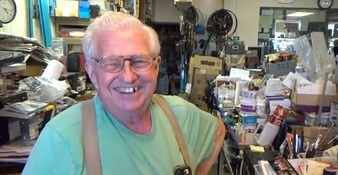 The shop has been operated by Floyd for 28 years and features stacks of used amateur radio equipment and more than a few boat anchors. Amateur radio enthusiasts from around the world have made the pilgrimage to the tiny, cluttered radio emporium to chat with the mild mannered Floyd, twiddle the knobs of radios from decades past, and to occasionally purchase a rare electronic artifact or get a radio repaired. All visitors to Radio World receive a plastic baggie full of homemade cookies made by his wife Hoa (pronounced "y"). Before coming to Boulder City he operated Floyds Electronics in Collinsville, Illinois. Dave Floyd became interested in radio at age 13 when he stumbled on some radio parts and a old National Radio Institute (NRI) correspondence course which his father had enrolled in prior to World War II. He got his first ticket a year later in 1955 as KN9BQV and has been continuously licensed for sixty years. Floyd received a degree in Electrical Engineering from the University of Missouri-Rolla, went to work building aircraft in California. He later went on to work for NASA at Mission Control in Houston. Dave Floyd was an accomplished Barber Shop Quartet singer. Having been a part of the Gamble-aires and the Silver Statesmen. He is a member of the Frontier Amateur Radio Society in Las Vegas and of the Egyptian Radio Club of Granite City, Illinois. David Floyd is survived by his wife Hoa, a son and a daughter, an three brothers. No information is available at this time regarding a memorial service. Bob Heil and Dave Floyd were teenagers when they met during a six meter QSO. They went on to be lifelong friends. Here, Bob shares the 1958 QSL card from that contact. ARES/RACES in Clark County will be under new leadership following the retirement on December 1st of the current Clark County Emergency Coordinator. Anthony Perry KF7MCM of Las Vegas has been appointed by Nevada Section Manager John Bigley N7UR to secede Billy Smith W7HMV as Clark County Emergency Coordinator. Perry was recommended and endorsed for the position by both outgoing EC Smith and by Southern District Emergency Coordinator Jay Peskin KE7EGO. Perry is employed by the State of Nevada and is a volunteer member of the Nevada Appeals Board of the United States Selective Service System. He is the local President of the sons of the American Revolution and has served as the State President for that organization. Mr. Perry has completed the DHS Auxiliary Communications (AUXCOM) and Communications Leader (COM-L) courses, as well numerous FEMA courses and the Kentucky ARES course. Perry recently returned to the workforce after spending the past 15 years homeschooling his three children, one of which, his son Ayren holds amateur radio license KF7RNV. Outgoing EC Billy Smith is wrapping up his seventh year leading the Clark County ARES/RACES program. Smith, who took over the reigns in February 2009 from Charlie Kunz AA5QJ, cited a desire to travel and increasing demands on his time as a volunteer for the local USO headquarters at McCarran Airport as the reason for stepping down. A major milestone in Mr. Smiths tenure as EC was the completion and implementation of amateur radio operations in Las Vegas hospitals. Smith will remain in the leadership position of the hospital program as an Assistant Emergency Coordinator. Mr. Smith served a term as Nevada Section Manager in the 1990's. A Vietnam veteran, Billy Smith is a retired Full Colonel in the United States Air Force having served both as a B-52 bomber pilot and as a Judge Advocate General. Mr. Smith is a Senior Partner in the law firm of Dempsey, Roberts, and Smith. A Life Member of the ARRL, W7HMV was first licensed in 1959 and has the distinction of having worked all 3079 U.S. Counties and holds USA-CA #929. Members of White Pine County's ENARS enjoy this morning breakfast meeting. The number of amateur radio operators in Nevada continues to rise at a very good pace. Nevada recently reached 7,248 licensed operators an increase of more than 300 hams over this time last year. The long awaited launch of AMSAT's FOX-1 amateur radio satellite took place at 05:49 this morning from Vandenberg Air Force Base in California. Attendees at todays Las Vegas Radio Amateur Club's ham equipment auction walked away with tons of incredible bargains. shortwave radios, weather stations, High Sierra screwdriver antenna, scanners, cw transceivers.....everything including the kitchen sink.....well not actually the kitchen sink, but they did sell 4 laundry room sinks! The sinks were left over from when LVRAC used them to sell beverages at the Las Vegas Motor Speedway. The day started outat 8:00 AM with coffee and doughnuts. Clark County ARES/RACES Emergency Coordinator Bill Smith W7HMV gave a presentation on getting started in Emergency Communications and then the auction got under way at 10:30 AM. Door prizes were drawn throughout the day and the crowd tossed lighthearted barbs at one another as friends competed against each other to bid their way to more ham radio treasures. Mark Pallans acted as the auctioneer for the event which served as both a fund-raiser for LVRAC and as a venue to help lower the costs which the club had been occurring from storing the items. Travel blogger Juergen Barbusca was impressed with the precision amateur radio communications he overheard at the Silver State Classic Challenge. He immediately made this video comparing it to NASA Mission Control . 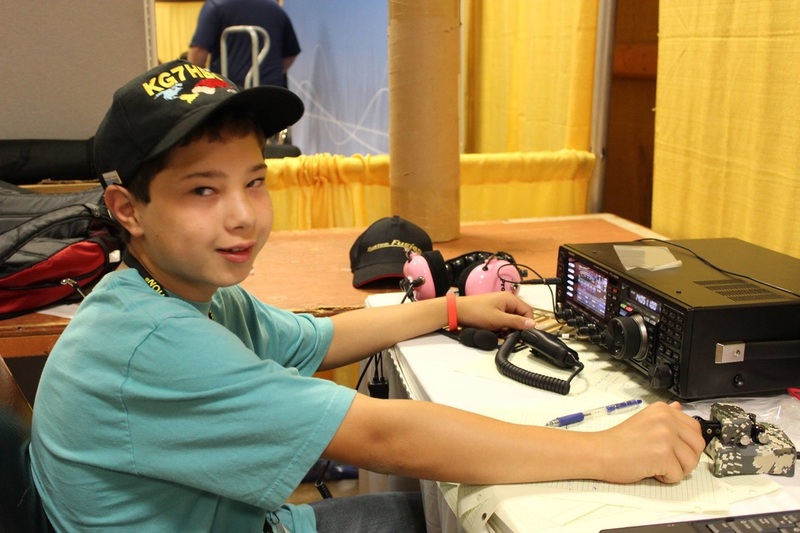 For the past year, eleven year old Sam Case (KG7HBY) of Sparks has been operating The Friday Night Youth QSO Party, a weekly international youth net, via Echolink. Beginning last month, Sam teamed up with Gino (KG7POU) of ARC (Amateur Radio Club.net) fame to add a pre-net podcast to each weeks activities. 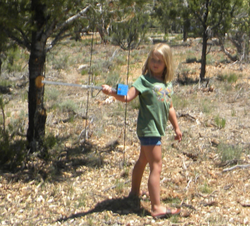 The topic for this weeks podcast will be "Ham Radio on Camping Trips". Sam is a Boy Scout who likes to take his rig along when he goes camping. Sam also plans to showcase his new "Yo-Yo" antenna. The Net works with (YACHT) the Young Amateur Communications Ham Team. While the Net is geared toward youth and new hams, adults and old-timers are also encouraged and welcome to participate. Well known Ely resident Phil Henry K6MAS has become a silent key at the age of 74. Henry was an inventor and entrepreneur who created trunking scanners and radar detectors for Uniden, Cobra, and Radio Shack. Phil Henry was also an avid outlaw race car driver and the last of the original "Bonzai Runners", a 1970's group of outlaw race car drivers who would run I-15 at 150 mph or higher. He was a long time participant and one time Board member of the Silver State Classic Challenge, the worlds fastest open road race. Phil was a member of the Eastern Nevada Amateur Radio Society, a storm chaser with the Warren Faidley Storm Chase Team, and a leader in the Nevada Tea Party movement. Henry was a principal in several companies, including RangeCast Technologies, an internet public safety monitoring and resale firm. He also was a managing member of Leadership Challenge which works with the Junior ROTC program of the Marine Corp. Additionally, he was involved with RESET Your Life, a behavioral retraining program for parents and teens. Nevada State ARRL PIC Chuck Farnham along with Washoe County Emergency Coordinator Bob Miller and his teams from Washoe County ARES and Sierra Nevada Amateur Radio Society providing security support and education to the Reno National Championship Air Races at Stead Field in northern Nevada. Several hundred amateurs and spectators from around the world stopped by with questions and to discuss amateur radio and emergency communications during this weeks very successful event. White Pine Counties' Wheeler Peak recently returned to the airwaves as one of the mountaintops which are a part of the "Summits On The Air" (SOTA) program, thanks to the efforts of a New England couple. from Wellesley, Massachusetts-combined their love for mountaineering with their amateur radio skills to activate the mountains summit which is designated as W7N/WP-001 in the SOTA program. SOTA is an international amateur radio program which was started in March 2002 by John Linford G3WGV of England. 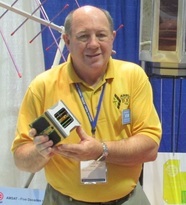 Linford has been a member of several international DXpeditions. The SOTA program now has more than 73,500 summits registered in its database and thousands of participants. Hams can participate in the program by either activating (climb to the peak) a summit or by working an activation. Either way, participants earn points for their QSO's. Numerous awards can be earned for collecting points. Rich and Marcia are experienced technical climbers who primarily climb the 14er's, mountains which are more than 14,000 feet in elevation. There are no 14er's in Nevada. Located in the Great Basin's lower Snake range, Wheeler Peak at 13,063 ft comes in as a close second to the states highest point, Boundary Peak at 13/140 ft.
Rich reports that they treated the Wheeler Peak excursion as a "down day", taking a break from their technical climbing activities to activate the summit and to visit the White Pine County Fair, where they met several members of the Eastern Nevada Amateur Radio Society (ENARS) who were hosting a ham radio information table. 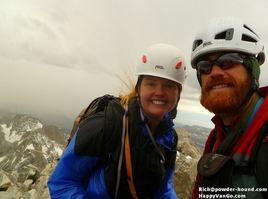 Rich and Marcia's outing was the third lofty activation of Wheeler Peak. White Pine counties highest peak was first activated on August 20, 2012 by Andreas Puttich DL6AP of Rostock, Germany. Andreas mountaintop adventure was repeated on June 21, 2013 by Scott Burgess W7IMC of Merdian, Idaho who became the second ham to call "CQ SOTA" from the top of Wheeler. Members of the Carson Valley's Sierra Intermountain Emergency Radio Association are mourning the deaths of two of their members, Will (KD7NIR) and Phyllis (KD7OKI) Lewis, who both passed away this week. Using a search warrant, Douglas County Sheriffs officers found Phyllis Lewis dead in the couples Gardnerville home on Tuesday, Will Lewis was reportedly barricaded inside the house . SWAT officers and Crisis Negotiation Team personnel eventually gained entrance and transported Will Lewis to the hospital. Lewis died on Friday. At the time of his death Will Lewis was a person of interest in Phyllis Lewis's death. Both of the Lewis's had been long time members of the Sierra Intermountain Emergency Radio Association and both had served on that groups Board of Directors. They were always active in club events. Will Lewis was the long time communications coordinator for the Nevada portion of the Pony Express Re-ride. SIERA reports that both of the Lewis's were active in many amateur radio activities around the valley and could often be found taking up positions handling communications for the numerous bicycle rides which take place around Lake Tahoe and the nearby mountains, including the Tour of the California Alps, America's Most Beautiful Bike Ride (AMBBR), and Bike Big Blue - Tour de Tahoe. 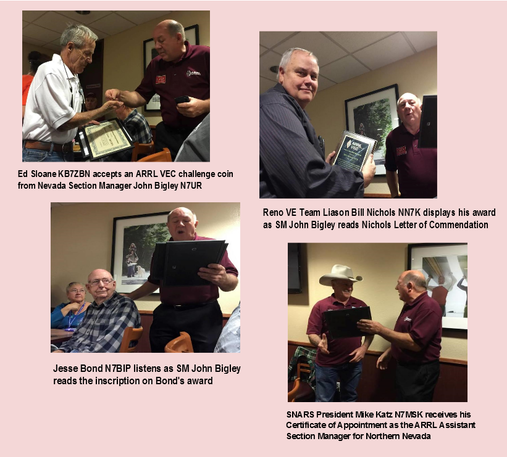 Three Northern Nevada amateur radio operators have been honored for their long service to the ARRL Volunteer Examiner program. Jesse Bond N7BIP and Edward Sloane KB7ZBN were recognized with each having administered more than 100 amateur radio licensing exams. ARRL Nevada Section Manager John Bigley N7UR presented them each with a certificate attesting to their service. Bill Nichols NN7K, the Reno Volunteer Examiner Team Liaison, received a special plaque playing tribute to his administering of more than 200 examinations. 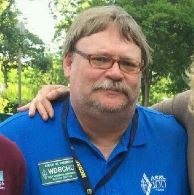 Nichols has been an ARRL Volunteer Examiner for more than 22 years. In his remarks, Bigley spoke about how in other countries it takes years of waiting and often huge bribes to receive an amateur license. He also reminded those present of how long hams used to have to wait before their ticket finally showed up in the mailbox. Bigley credited those being honored and the rest of the Reno VE team for helping to make the VE program what it is today. All three honorees also received personalized Letters of Commendation from ARRL VEC Manager Maria Somm AB1FM, which Bigley read. N7UR also gave each man a Gold ARRL VEC Challenge Coin. Following the awards presentation, Section Manager Bigley introduced several of the leaders in his Section Cabinet. He also introduced SNARS President Mike Katz as his Assistant Section Manager for Northern Nevada and presented Katz with his certificate of appointment. Upon the recommendation of Section Traffic Manger Jim Bassett W1RO, a Spring Creek ham has been appointed as the Net Manager for the State Traffic Net. Nevada Section Manager John Bigley N7UR has approved the appointment of Dale "Scotty" Scott KF7MT as the Net Manager of the newly organized Section Traffic Net, a part of the National Traffic System. Scott, a native of Montana, is an Area Manager for Motorola in Elko. 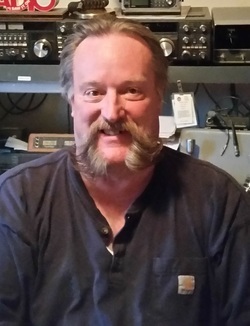 Licensed since 1982, Scott lived in Sparks, Nevada for 23 years and worked for Reno Radio and later he and his wife Cheryl KB7IWQ owned their own two-way radio shop. The father of six children (all grown), Scott serves on the Board of Directors of the Elko Amateur Radio Club, is a Volunteer Examiner, teaches licensing classes, and operates the com truck for the local Search and Rescue squad. He enjoys amateur television and packet radio. Scott is also an umpire for little league and high school baseball. 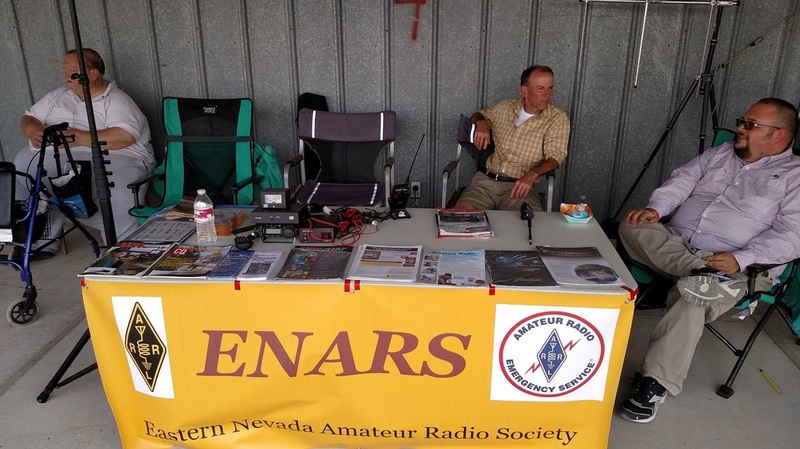 Members of the Eastern Nevada Amateur Radio Society operated an amateur radio information table and demonstration station at the at the White Pine County Fair in Ely August 22-23. White Pine County EC Les Robinson N7GWT reported that he was joined by Randy Beck W7RDB, Tom Love KF7NKW, Devin Ulibarri W7ND, and Bruce Greenleaf KF1Z in introducing amateur radio to the fair goers. 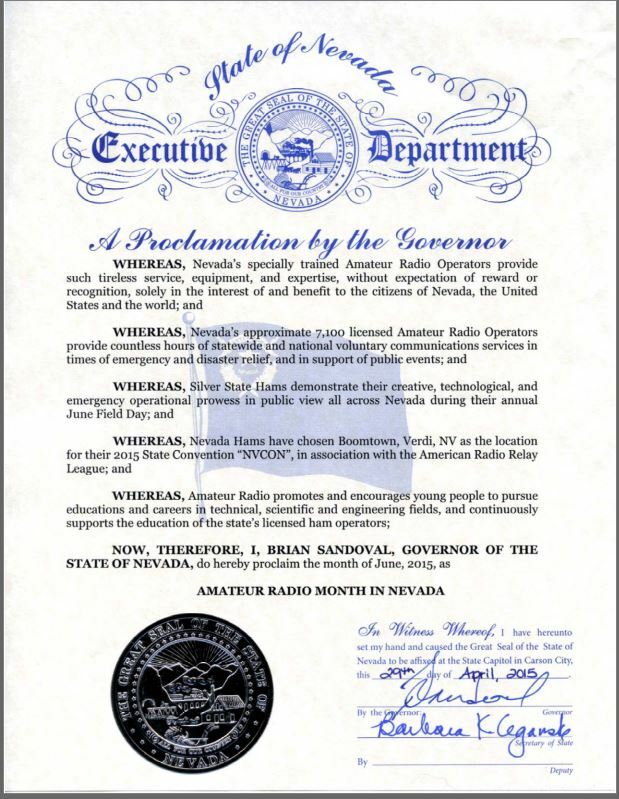 Amateur radio provides the communications for many community events around Nevada. 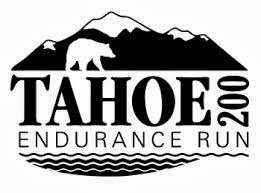 One such event, the upcoming Tahoe 200 Endurance Run, set to run Sept. 11-15, is severely understaffed and in need of quite a few hams. The Tahoe 200 is the first 200 mile single loop mountain race in the USA! The route circumnavigates the sparkling, clear blue waters of Lake Tahoe from the Tahoe Rim Trail, occasionally detouring off the TRT to explore aspen meadows, rock gardens of giants, small impossibly blue lakes, thick canopied forests, and long ridge lines with stunning views. The route is nothing less than magical. In the course of 202 miles, runners will fully circle iconic Lake Tahoe on a journey of a lifetime. The Las Vegas Amateur Radio Club will be holding an auction of amateur radio equipment , test equipment, computers and non electronic items from the club's inventory (field day gear, etc) on September 26, 2015 in Las Vegas, Nevada. Printable Flyer. 9:30 until 10:15 AM will be a training class "Introduction to Emergency Communications"
10:30 until 2:00 PM will be the auction - Auction will continue til everything is gone. The location is the Salvation Army, 2900 Palomino Lane. (2 blocks west of Rancho drive between Charleston Blvd and Alta Drive). Talk in will be on the 146.94 repeater (PL 100). Radio gear will consist of HF, VHF and UHF amateur and commercial gear, antennas and accessories. There will test equipment. A catalog with pictures will be available after September 7th. See Icom, Kenwood, Yaesu, Standard, Midland, Motorola, Cushcraft, Tektronix, B&K gear and more. Admission is $5.00 (cash) and coffee, soft drinks, and pastry will be available for free starting at 8:00 AM. Amateur Radio Emergency Services (ARES) members in Nye County were pressed into service once again on Monday afternoon (7-27) when the county loss 911 capabilities on the A.T. & T. telephone exchange. 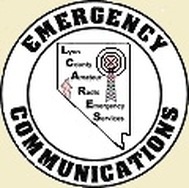 Southern Nye County EC Gerald Fuge KC6ILH reports that a total of nine ARES members deployed to four different locations to act as 911 Relay Points for the Emergency Operations Center (EOC). ARES personnel staffed locations in Pahrump. Amargosa, and Beatty. An additional ham, not affiliated with ARES, provided communications with two local FM broadcast stations and delivered EOC press releases from the ARES network to those stations. Nye county is larger than the combined states of Massachusetts, New Jersey, Rhode Island, and Delaware. At 18,199 square miles, Nye County is the largest county in Nevada and the third largest in the country. ARES personnel were deployed for a period of about 3 hours. Southern Nye County ARES members have responded to similar 911 outages in the past. Nevada Section Manager John Bigley N7UR has announce the appointment of Bill Freeman N4NJJ to the position of Section Youth Coordinator for the Nevada Section. Freeman succeeds Katherine "Kati" Stenstrud K7KTI of Reno who resigned in May due to increased demands in her school acting classes. The position of Section Youth Coordinator was formally created in July 2013 by the ARRL Board of Directors as a recognized Section Level appointment.. Prior to this time there was no official ARRL position for youth activities. Before this, a few Section Managers had made provisional appointments of youngsters as Assistant Section Managers for youth. These provisional appointments typically were undefined and rarely came with any official duties. A resident of Henderson, Nevada, Freeman is employed as the District Executive of the Bighorn District, Las Vegas Council of the Boy Scouts of America. Freeman comes to the job well qualified, having served as the Assistant Section Manger for youth activites and as a Public Information Officer of the Western New York Section. A 2013 graduate of the Canisius College of Buffalo, New York, Freeman was a 2014 recipient of both the Ten-Ten International Net Schloraship and the Quarter Century Wireless Association-Herman (K5IRM) & Maud Armstrong Sr Memorial Scholarship. He is currently a graduate student at the University of Nevada Las Vegas in Music Performance and Education. Before relocating to Southern Nevada, N4NJJ served as the President of the Lancaster Amateur Radio Club of Batavia, New York and as Assistant Scoutmaster of Boy Scout Troop 85 in Buffalo, New York. 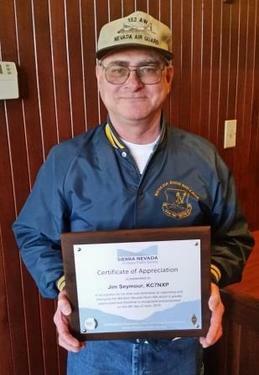 Jim Seymour (KC7NXP) received a certificate of appreciation from the Sierra Nevada Amateur Radio Society (SNARS) today for his years of leadership in the managing the Northernwestern Nevada Noon Net. A San Joaquin Valley ham who is generally thought to be the last living builder of the Golden Gate bridge has passed away at age 98. In 1935, during the midst of the Great Depression, Gus Villata WB6QXE had just graduated from San Francisco's Galileo High School, when an electrical contractor offered him and a group of his friends jobs as electricians assistants building the famed Golden Gate bridge. Gus spent the next several weeks pulling wire up the bridges South tower, for the astronomical wage, of 75 cents per hour. By the time 18 year old Gustave Villalta went to work on the San Francisco landmark he was already a serious scrounger of used electronics. Gus sold his salvaged goods and passed the money to his mother. Like so many other hams, Gus Villalta's (WB6QXE) love of radio began as a child. The young immigrant boy from Pordenone, Italy was aboard a ship bound for New York's Ellis Island when an Italian speaking friend showed him the ships radio room. Young Gustave was bitten by the radio bug and became hooked on electronics for life. In 1937 Gus joined the National Guard and in 1941 he was inducted into the Army Signal Corp. His competency with radios was known to the military and they sent him to Fort Monmouth, New Jersey for training in a new technology known as RADAR. Following this training Gus was sent to March Field in Riverside, California. It was from here that a group of nine men, including Villalta were deployed up US Highway 101 with orders that were not to be opened until they reached Gilroy. The group was expecting to board a military transport to Los Banos in Laguna Providence, the Philippines It wasn't until they reached the Pacheco Pass that they realized the Los Banos where they were being stationed was not in the South China Sea, but in the agriculturally rich San Joaquin Valley of California. Villalta and the other men were sent to Los Banos to establish a RADAR station atop the Miller and Lux building. Shortly after arriving in Los Banos, Gus Vallita would discover two loves that remained with him for the rest of his life.... hanging out at the drug store soda fountain and Carmella Malardino. It was at the soda fountain that Gus met the pretty Miller and Lux bookkeeper. They married in 1943. Soon after that Gus was sent overseas to the China-Burma-India theater where he served in several countries. It was high above Asia that Gus would crawl into the tiny, glass enclosed, radar operators position, located in the rear fuselage of the Northrop P-61 night interceptors. Known as the Black Widow, the P-61 was the first aircraft specifically designed to use RADAR. It was Villalta's job to test the RADAR operations of the P-61's while in flight. In Burma, Gus contracted severe amoebic dysentery and was hospitalized in India for the duration. At the wars end, Gus weighed a mere 97 pounds. He was released from the hospital in 1945 and returned to Los Banos. 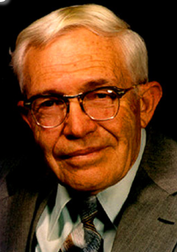 Gus was discharged from military service in 1949. Los Banos would be the Villalta's home for the remainder of their lives and Gus would make walking to the Los Banos Drug Store soda fountain a part of his daily routine. In 1946 Gus took a job with radio repair shop owner Frank Alves. Gus remained there 20 years until Alves retired. When Alves closed his shop he gave all of his equipment to Villalta. Gus and Carmella then opened "Gus's TV and Radio Service" in 1966 , near the courthouse. Shortly thereafter they moved the business to "I" street, where it operated for 38 years. 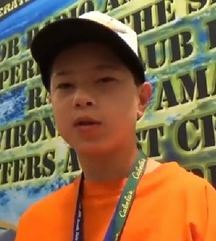 Gus and Carmella's son Michael is a ham (WB6FML) and he is also the mayor of the City of Los Banos. Services for Gustave Villalta will be held at St. Joseph's Catholic Church in Los Banos on Wednesday June 3rd at 10 a.m. Burial will be at Los Banos District Cemetery following the Mass. The Interstate 80 corridor thru Humboldt County recently received some much needed high level repeater coverage thanks to the efforts of the Sierra Nevada Amateur Radio Society. SNARS technical personnel have installed a 2 meter repeater at the radio site sitting atop Winnemucca Mountain. The site is just north of the town of Winnemucca and offers good coverage along I-80 from Mile Marker 138 in the west to Mile Marker 200. Signal quality is also good into Paradise Valley to the north. Operating on a frequency of 146.670 Mhz, with a PL tone of 123.0 Hz, the new repeater is linked to machines on Toulon Peak (146.925), outside of Lovelock and on Ophir Hill (443.075) above Virginia City. The links give the new repeater expanded communications into Reno, Sparks, Lovelock, Carson City, Minden, Fallon, Gardnerville, Dayton, Virginia City, Fernley, and Rochester. There is also limited use along Nevada Rte's 49 and 140. ARRL Nevada Section Manager and Pacific Division Assistant Director John Bigley N7UR recently made four appointments to the Nevada Section leadership. All four are cabinet level positions within the Nevada Section Field Organization. Two new Assistant Section Managers, one each, in the northern and southern portions of the state have been appointed to provide local leadership and assistance to the Field Organization, clubs, and individual amateurs in their respective geographical areas. The new Assistant Section Managers have also been tasked with expanding and developing specific programs and services to the amateur radio community. A new Section Traffic Manager has been appointed and has been hard at work revitalizing Nevada's participation and role in the National Traffic System. The new STM will also be instrumental in the development of digital traffic handling within Nevada and in the education and training of new NTS operators. Section Manager Bigley has relinquished his position as Section Public Information Coordinator and has appointed a successor to the position. The new PIC will be expanding the number of Public Information Officers in the section and developing new strategies for getting the story of amateur radio before the public. 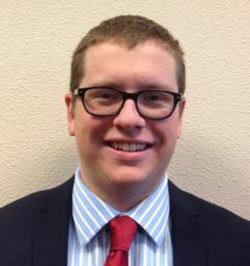 Mike Katz N7MSK of Reno, has been appointed as Assistant Section Manager (ASM) Serving the northern portion of Nevada. 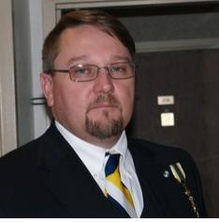 Mike also serves as the Affiliated Club Coordinator for the Nevada Section, a position he has held for several years. Mike is in his fourth year as the President of the Sierra Nevada Amateur Radio Society (SNARS) and is the Coordinator for the ARRL Nevada State Convention (NVCON). Now retired. Mike is a veteran of the U.S. Air Force and also held various leadership positions in Nevada state government. He was also the CEO of a Reno area not-for-profit manufacturing business for 15 years. Mike has served on the Advisory Committee for the UNR College of Business and in a leadership role with the Reno-Sparks Chamber of Commerce. 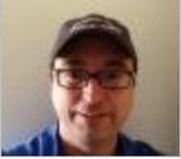 Glenn Hale KB7REO has been appointed Assistant Section Manager (ASM) serving the southern portion of Nevada. Glenn is also the Nevada Section Emergency Coordinator and has been active in Nevada ARES since the mid-1990s. Glenn first became active in emergency communications by organizing the amateur radio SKYWARN program in Las Vegas, Nevada. The Las Vegas NWS office installed amateur radio equipment for the purpose of running SKYWARN nets during times of severe weather. 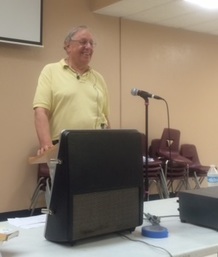 Glenn then briefly held the Clark County EC position, and then held the Southern Nevada District EC and ADEC positions for most of his amateur radio tenure. He is also interested in operating QRP, DMR, packet and portable field operations. 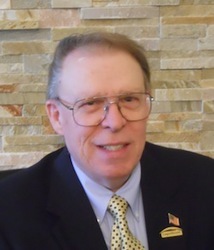 Glenn is a registered Civil Engineer in Nevada and Certified Environmental Manager. He is currently self employed with his wife Diane at HERServices, Inc. an Environmental, Safety and Health company. Jim Bassett W1RO of Las Vegas has been appointed to the position of Section Traffic Manager (STM). Jim has more than 45 years of experience in communications and leadership. Jim retired as a Chief Radioman from the U.S. Navy after 20 years of service. He then went on to complete an additional 20 years as a Senior Communications Specialist and Communications Technician for Las Vegas Fire and Rescue. A Life Member of the ARRL, Jim is also a member of the Las Vegas Radio Amateur Club, and Clark County ARES/RACES. Chuck Farnham WD6CHC, of Fallon has been appointed as Public Information Coordinator (PIC). Chuck has been serving as a Public Information Officer and is assuming the position vacated by John Bigley N7UR, who is now the Nevada Section Manager. 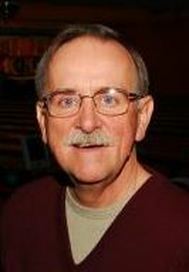 Chuck is retired from an "On the Air" radio broadcasting career in the San Francisco area. He also was employed with the Department of Homeland Security. 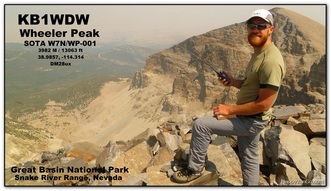 Chuck is a member of the University of Nevada Radio Pack and the Sierra Nevada Amateur Radio Society. As any diehard Southern Nevada swapmeet attendee will tell you, if you are going to the monthly tailgate at the AES parking lot in Las Vegas, you better get there before sunrise. Those people who wait around till the 7:00 AM published start time are not likely to find any real deals remaining and they may even find that most every-one has packed up and left for the day. If you wait until 8:00 AM there is a good chance that when you arrive the only thing you will find is an empty blacktop. That was a bit different at yesterdays event when the last vehicle pulled away at 11:00 AM. This was, in all probability, due in a large part, by the presence of a Free Pancake, Sausage, and Egg Breakfast provided by the "Hams On The Hill" Field Day group. 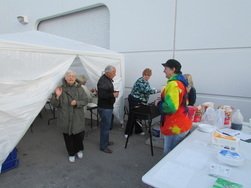 The group set up the breakfast to foster camaraderie among the local amateur radio community. "Hams On the Hill" founders John and Elizabeth Bigley provided the food, while members of the Sisterhood Of Amateur Radio grilled it up on their new outdoor range. SOAR recently purchased the stove to support the many meals provided at the annual 4-day Field Day event on Mt. Charleston. Frank and Linda Kostelac provided the coffee and a huge commercial percolator to prepare it in. Frank Kostelac reports that several gallons of the hot brew was quickly consumed. The SOAR ladies happily stated that they served hot breakfasts to 75 guests and that several others just dropped in for a cup of coffee. By 8:00 AM all of the stomachs had been fed and the focus shifted to feeding the spirit. The dining shelter tables were packed away and all of the chairs quickly filled up with ham operators. It was then standing room only for the next two hours while old friends and new friends alike shared stories, showed cell phone photos, and brainstormed future get togethers. Thanks to AES manager Julio Suarez KP4UZ for his support of this event. The gathering is slated to run May 1-3 at the Boomtown Casino-Hotel in Verdi, Nevada.Next month's event will be the second edition of NVCON which made it's inaugural appearance last year in Virginia City. 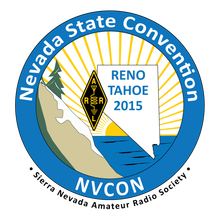 NVCON was conceived and is organized by the Sierra Nevada Amateur Radio Society (SNARS) of Reno. President Mike Katz and Treasurer Tony Marcin of that group are two of the principal people that have made NVCON a reality. Last years NVCON, held in Virginia City, was hugely popular. But the town lacked sufficient infrastructure to host a large event and NVCON outgrew Virginia City at their very first event. Held in conjunction with the NVCON convention, the West Coast CW Enthusiasts Confab will offer activities and forums geared specifically toward the CW operator. Activities include a Friday night CW Dinner, Saturday forums, and special CW operating opportunities during the 7QP contest at the Comstock Memorial Contest Station near Virginia City. The Comstock station will also host an open house on Sunday May3. 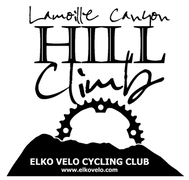 Elko Velo is ramping up for the annual running of the Lamoille Canyon Hill Climb and once again the Elko Amateur Radio Club is poised to provide communications for the popular event. Now in it's tenth year, the Hill Climb pits bicyclists against twelve miles of Lamoille Canyon Road, a National Scenic Byway. The road rises some 3000 feet in elevation over the course. 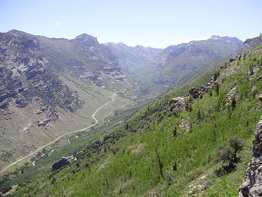 Lamoille Canyon is nestled in the Ruby Mountains near Spring Creek, Nevada. The 75 member Elko Velo (velo is French for BIKE) is also celebrating their 10th anniversary as an organization. The group seeks to promote community spirit, good exercise, and safe bicycling. 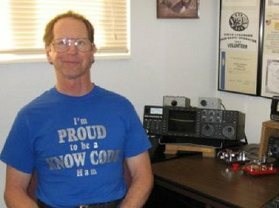 Yet another Nevada ham radio club suddenly found itself without a meeting place this past Friday morning. The sudden closedown of Carrow's restaurants in the Reno area left the University of Nevada Radio Pack without a meeting site for their weekly Monday morning breakfast meetings. Club personnel got busy and quickly found a restaurant that would take them. The new location for the ham breakfasts on Monday mornings will be at Sierra Sids Truck Stop in Sparks located on the NE corner of I-80 and E McCarran. Get off I-80 and go North on the right side. Beginning at 7am. 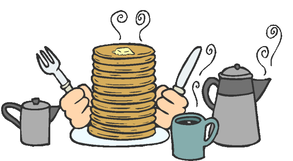 "Hams On The Hill" Field Day Group to Host Free Pancake Breakfast at Saturdays Swapmeet! The "Hams On The Hill" Field Day crowd is known for cranking out some pretty good eats during the 4 days they play Field Day each summer. But this year they just can't wait until the end of June to rustle up some chow and tell radio lies with their friends. So they will be brewing some piping, hot java. Flipping a bunch of flapjacks and squeezing the oink out of some good pork sausages at this Saturdays monthly swapmeet at the AES parking lot. "Hams On The Hill" is not a club or organization. It is collection of amateur radio operators from a number of area groups who enjoy the fun and fellowship of sharing ham radio activities. In late January the Nellis Radio Amateur Club suddenly found itself without a home. New management personnel at Nellis Airforce Base's Outdoor Recreation decided to begin imposing monthly fee's that were too large for the radio club to raise. Consequently the group became homeless. Additionally, licensing classes and examinations which had been offered at Nellis for the past two decades were also eliminated. Fortunately for NRAC they have some neighbors who happen to have a pretty good track record of helping the displaced and homeless....the North Las Vegas Corp of the Salvation Army. Nevada Section Manager John Bigley-N7UR, a long time Salvation Army volunteer, called upon Calvin Groom-KE6OEH Assistant EC for the Salvation Army and Clark County SATERN Coordinator to meet with Salvation Army leaders and see if they could accommodate the Nellis club. Groom met with the Officer of the North Las Vegas Corp and was able to set up meetings between the Salvation Army and the Nellis Radio Amateur Club leadership. These meetings resulted in Nellis not only being able to have a place to hold their meetings, but also for the Radio Licensing Class to have a place to continue teaching new and upgrading hams. The Salvation Army North Las Vegas Corp is located on Cheyenne Avenue, right next to the College of Southern Nevada's Cheyenne Campus. The Nellis RAC will hold their first meeting at this new location on Thursday April 9th, at 7:00 PM. Nellis RAC President Dennis Simon-KB7UTV says that their club is interested in helping both Salvation Army personnel and young people in the Salvation Army's programs to gain amateur radio licenses. The Salvation Army's Emergency and Disaster Service (EDS) is one of the world's premier disaster recovery agencies. The communications arm of the Salvation Army is SATERN, an acronym for Salvation Army Team Emergency Radio Network. Groom is the local coordinator for that group. 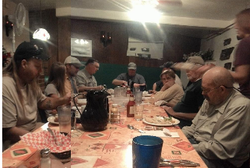 Tuesday night four Elko area hams were able to upgrade to higher classes licenses thanks to some extraordinary efforts of some of their neighboring VE's. It can be difficult for small towns, such as Elko to gather three Extra class VE's to administer exams. The W7LKO group thought they had their 3 in place for Tuesday evenings exam. That was until Kent Le Barts K6IN got pulled away for an almost 500 mile round trip. When it appeared that Kent would not make it back in time to assist Bill Hance NV7X and Shane Wiggins NV7SW with the exam, they threw out a last minute plea for help. Dave Hough W7GK answered that call and made the 30 mile round trip to Elko. Kent made it back and it turned out that Dave's trip was in vain. 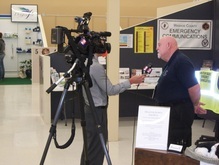 ARES and disaster preparation was the lead story this evening on KTNV Channel 2 in Reno. Randall Lorenz AF7HD is an ARRL Public Information Officer embedded with Washoe County Amateur Radio Emergency Service (WCARES). Lorenz was interviewed in the wake of several serious fires in the Reno area. Lorenz talked about the need to be prepared for even the smallest of disasters. He stated that this preparation includes the use of "Go Kits" and plans for the care of pets. Last week two 7th Call Area amateur radio operators were honored by their respective states for their lifelong achievements. Both have eclipsed the 100 year mark and remain an active part of their communities. Here are their stories. In Anchorage, Alaska the Alaska Women's Hall of Fame inducted 102 year old Arlene "Buddy" Clay KL7OT for her work in rural justice among the Yup'ik natives. Back in 1944 the nation was in the throes of World War II when, then 32 year old Arlene, known as "Buddy" to her friends and her late husband Earl Clay-KL7EM stumbled upon an ad in QST magazine. The ad was from the Civil Aeronautics Commission and it was seeking husband and wife teams to join the CAA. The Clays applied for the job and soon found theirselves at Boeing Field in Seattle, Washington where they received six months of training and were then sent to Nome, Alaska to serve as air traffic controllers for the next two years. They then transferred to the tiny Kuskokwim River village of Aniak. a settlement of 150 Yup'ik natives and about 15 white settlers. They built a cabin overlooking the river. The Clays left the CAA and lived off the Alaskan wilderness for the next 10 years. They built a fish wheel to pull fish from the river during the summer and in the winter they turned to their dog sled team and hunting for their subsistence. Her husband Earl was an amateur radio operator back in New England where he had held the call W1NOP. Arlene became a licensed ham in 1948 and began calling the Thursday night Snipers Net for the Matanuska Amateur Radio Association. She still calls this net each week from her home at the Primrose Retirement community, in Wasilla, where she now resides after spending 67 years in her riverside cabin. Arlene describes their first radio as a "Homebrew" rig built on an aluminum cake pan running 10 watts powered by a 1.5-volt dry pack. In 1956, twelve years after arriving in Alaska, Arlene's husband Earl would die. To support herself and the dogs, Arlene went back to work. She spent half of each day working for the CAA and half of each day working for the Post Office. Arlene would continue to mush dog teams for the next 35 years. Despite being a graduate of the New England Conservatory of Music, Mrs. Clay has never left the state of Alaska since her arrival in 1944. In 1960 she began a new career as a magistrate for the Alaska Court System. Responsible for 12 villages located along the Kuskokwim, Yukon, and Iditarod rivers. In the summer she used a 30 foot boat with a 40 HP engine to make her rounds and in the winter she drove her dog teams from village to village handing out justice for the next 18 years. Utah House of Representatives Honors Greef (Richard) Beckham W7FVM , last living member of Amelia Earhart Navy search team. On March the sixth, members of the Utah State House of Representatives rose to their feet to pay tribute to Greef Richard Beckham W7FVM on the occasion of his 100th birthday. A native of Texas, Beckham has packed a lot of living into the last century. As a boy, Beckham learned about radios and Morse Code while in the Boy Scouts. Following high school, this knowledge served him well, when in 1934 he joined the U.S. Navy. It was during this service in the Navy that Beckham became a footnote in history. He is believed to be the only living person to have been a part of the original 1937 Navy search party for aviator Amelia Earhart who went missing in the vicinity of Howard Island in the South Pacific Ocean. It was Beckham that sent the first CW messages that Earhart was missing and that they were unable to find her. At the time, Beckham was flying as an observer aboard a Navy seaplane. Beckham took and owns the only footage ever filmed of the Earhart search operations. The International Group for Historic Airplane Recovery (TIGHAR) believe that they have now located Earhart's plane. Plans call for that group to attempt a recovery expedition in June. Beckham has applied to be a part of that search and is now awaiting a reply. In 1938 Mr. Beckham left the Navy and became a science teacher in Oregon. His first wife abandoned him and left behind their young son, whom Mr. Beckham raised alone. He went on to earn a pilots license and became a member of the Civil Air Patrol, where his communications and flying skills were used extensively. After three decades alone, in 1971, he married his second wife, Dolly, who passed away in 2002. In 2005 he married his current wife Vera and converted to the Morman religion. He and Vera have since served two missions with the church. The first was in Johannesburg, South Africa and the second was to St. George, Utah where he and Vera remain to this day. Mr. Beckham remains active and only recently has given up driving his own car. 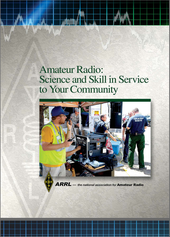 The activation of Clark County ARES/RACES in response to the September 2014 flooding in the Moapa Valley was one of nine amateur radio disaster responses featured in the recently published 14 page Amateur Radio: Science and Skill in Service to Your Community report. The new report introduces community leaders and emergency managers to amateur radio and the role which it plays as a vital communications resource in times of disaster. The report also highlights the benefits of amateur radio in support of community events. Next Generation of Amateur Satellites is "In The Bag"
FOX-1 Passes Mission Readiness Review is "Go for Launch"
The Radio Amateur Satellite Corporation, also known as AMSAT has reported that the first of five Fox-1 class cubesats has passed the required final tests and the all important Mission Readiness Review (MRR) and is "Go For Launch". Fox-1 cubesats will contain FM analog repeaters and are designed to allow amateur radio operators to communicate via space using only a hand-held radio and a hand held, dual-band antenna. This type of operation is similar to that of the AO-51 satellite. The first bird, dubbed Fox-1 was put thru the final "shake and bake" tests January 21st. "Shake and Bake" refers to the Vibration and Thermal Vacuum tests performed along with the "Day In The Life" (DITL) tests. Fox-1A is now "in the bag", sealed in the anti-static plastic bag that will be it's home until March 25 when it will be integrated into it's launch P-Pod at Cal Poly. The bird will be launched into Low Earth Orbit (LEO) from Vandenberg Air Force Base, California on August 27, 2015 aboard a United Launch Alliance Atlas 5 rocket. The flight is designated as NROL-55 flight for the U.S. National Reconnaissance Office. No launch time has been announced. Fox-1A will have an Uplink frequency of 435.180 Mhz, FM Mode and a Downlink frequency of 145.980 MHZ, FM mode. Two additional Fox-1 series satellites are scheduled to launch in 2015 and 2016. Fox-1B will hitch a ride with the launch of radiation experiments from Vanderbilt University next year. Fox-1C will be among the cubesats deployed on the maiden mission of the SHERPA cubesat deployer at the end of this year. Two additional cubesats, Fox-1D and Fox-1E are slated for future missions. Feb. 6th, Lyon County suffered the loss of 2 major repeater sites for the Sherriff and Fire repeaters. A commercial power outage occurred due to wind damage. Both repeater sites, Rawe Peak, and Eagle Ridge switched to backup generators. After a period of time both generators shutdown. The Emergency Management Coordinator placed a call for LCARES support. LCARES members Paul Strople KG7DQG, and Tom Tabacco KE7NCJ, responded to Eagle Ridge. Dennis Maginot KE7JIS and Brian Dickson KB1BEX traveled to Rawe Peak, and John Abrott KD7NHC went to the Dispatch Center. The generator on Eagle Ridge was placed back into service by public works, prior to the arrival of LCARES. That team joined the other team on Rawe Peak and set up a communications link between the repeater site and dispatch using Ham radio simplex. Some call it "Fox Hunting", "T-Hunting", "RadioSport", or "Hounds and Hare"...but regardless of the name being used, everyone agrees that radio direction finding is a super fun activity. If you are in the Las Vegas area today you can join in the fun of T-Hunting at 1:00 PM this afternoon. Initial meet-up is via RF on the Fitzgerald's (the "D") repeater 448.075 Mhz. You may begin from anywhere in the Las Vegas Valley. Primary Fox (transmitter) will be on 146.565 Mhz. The frequency of the Secondary Fox will be listed on the tear tags located with the Primary Fox. Participants will assemble for dinner at 4-5:00 PM at a location to be decided. Contact Frank Kostelac N7ZEV at 702 361-6080 for information. Registration is now open for the second annual NVCON convention in Reno, May 1, 2, & 3. Last years event was a big success and the upcoming convention promises to be even more fun! General Sessions $25.00 Fri/Sat/Sunday Before April 30th. $30.00 at the Door. 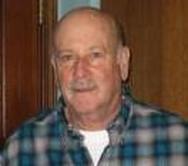 Nevada amateur's are saddened by the death of Stephen A. Lybarger, NU7T of Sparks, Nevada. Steve passed away on Friday, February 20. Lybarger was a past president of the Sierra Nevada Amateur Radio Society of Reno and was one of the founders and a driving force of the Reno QRP Group. He was an ARRL VE Examiner and had served as Official Observer Coordinator for a period of time . Lybarger was a strong proponent of the use of morse code. 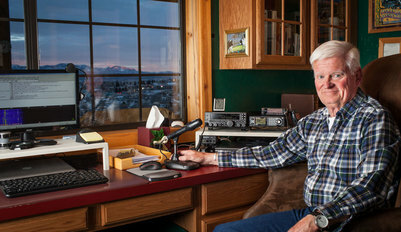 He was a member of the North America QRP CW Club and was well known for his own the air code classes. He leaves his wife Mimi of 2346 Roman Drive Sparks, Nevada 89434. No services are planned. If you care to make a donation in Steve's memory, please send your tax deductible donation to Ronald McDonald House Charities of Northern Nevada,323 Maine Street, Reno, Nevada 89502. The system was paid for by club member donations. On February 7th a crowd of more than 70 SNARS members squeezed into the Denny's in Sparks, Nevada to hear an overview of the DMR system by the NorCal DMR group. Get Ready f0r Frequency "the series"
N7UR Named "Ham of the Year"
Zombies Prepare To Take Over the Air-waves!! !